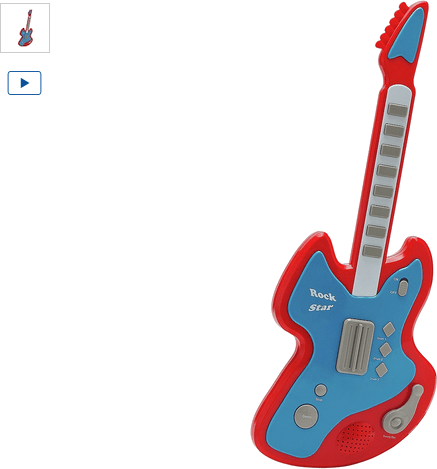 Time for little ones to fine their inner rock star with the Chad Valley Electronic Toy Guitar. The controls have been specially designed with little hands in mind and demo tunes give it an incredible realistic feel. Complete with eight (8) buttons and sounds, mini musicians can have heaps of inventive, musical fun. Get money off with April 2019 free Argos voucher codes, see if there's a discount code for the Chad Valley Electronic Toy Guitar - Red product.